The Mac browser market might be better off if Google applied some of the innovation it touts in other areas of its business to its Chrome Web browser. The latest version is once again a lightning-fast, efficiently functional browser, at or near the top of the pack in every benchmark I ran. But the things that have changed about Chrome since this time last year don’t seem quite as significant as those that have remained stubbornly the same. If you were worried that Chrome’s interface might have changed radically in the last year, well, fear not. The pace at which Google turns out new Chrome iterations has slowed from “brain-melting” to just “really fast.” While Chrome leapt from version 8 to version 21 between 2011 and 2012, it’s “only” advanced to version 29 since then. Chrome 29's new reset button is located at the bottom of the Advanced Settings. A review of Chrome’s release notes reveals numerous security patches and bug fixes. Since version 21, Chrome has also gained occasional speed boosts and other small new touches, including the ability to quickly display what permissions each of your installed extensions has. A reset button, new to the latest version, claims to let you restore your browser to its original settings, including resetting your homepage, themes, new tab pages, and search engine of choice. It preserves your bookmarks, happily, and disables but does not delete your extensions. It also leaves your browser history intact, oddly. The reset button is buried at the very bottom of Chrome’s initially hidden advanced options, and I wasn’t overwhelmed by its effectiveness. The release notes mention improved guesses in the “omnibox”—the combined URL and search bar—for what you might be typing, plus new support for MathML, a markup language for easily displaying complex mathematical equations. However, none of the MathML demo pages I tried would display their samples correctly in Chrome. It may not be pretty, but Chrome 29 sure is fast. 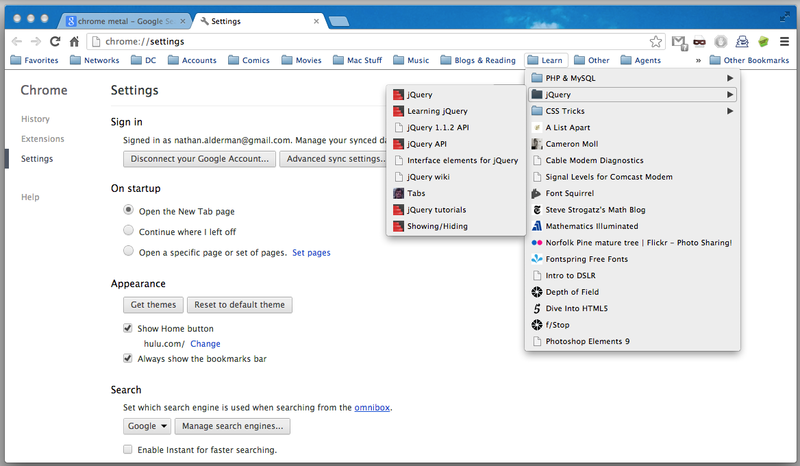 More dismayingly, Chrome’s interface remains fundamentally unchanged from last year. The browser still lacks visual polish, and has made only minimal efforts to match Safari, Firefox, or Opera’s attempts to evolve around how people use their browsers. While you can now pin tabs to your browser window, Firefox-style, there’s still no easy way to open all bookmarks in a given Bookmarks Bar folder without right-clicking to summon a contextual menu. I wish that as much attention was paid to human touches as to the speed and security of the underlying code. I will give Chrome one sincere compliment, though: It’s easy to switch your default search engine from Google to Bing, Yahoo, or the engine of your choice. For a program specifically designed to keep users in Google’s ecosystem more often, that’s a laudably courteous feature. Meanwhile, the work Google has put into speed and stability improvements has definitely paid off. With a little help from hardware acceleration, Chrome ran beautiful 3D games and demos in WebGL with nary a hiccup. And a round of benchmarking tests, conducted on a 2.9GHz Core i7 MacBook Pro with 8GB RAM, ranked Google’s browser at the top of the heap in many key categories. The aging Safari 6 still holds the crown in HTML5 vector graphics rendering; it scored nearly twice as well as Chrome 29. Google’s browser still beat Opera 15 and Chrome 21 (narrowly) and Firefox 23 (far, far more widely). In HTML5 bitmap graphics and text rendering tests, Safari again beat out Chrome, Opera, and Firefox, if only by a nose. In both cases, Chrome 21 just barely outscored Chrome 29. 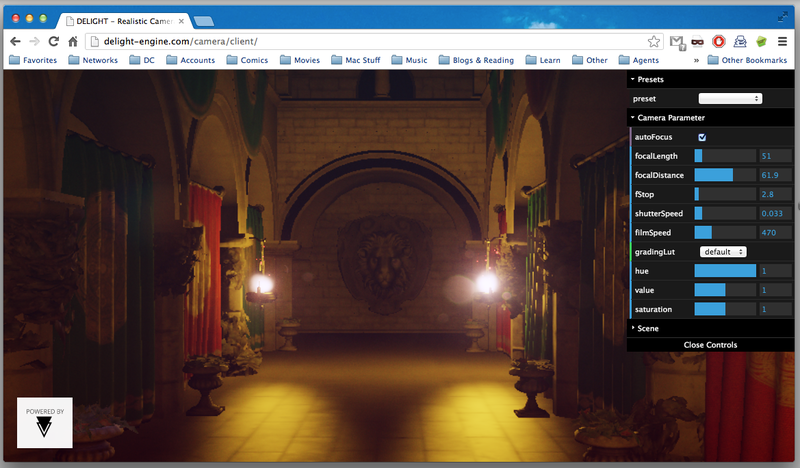 With help from a fast Mac, Chrome juggles complex WebGL code without slowing down or crashing. 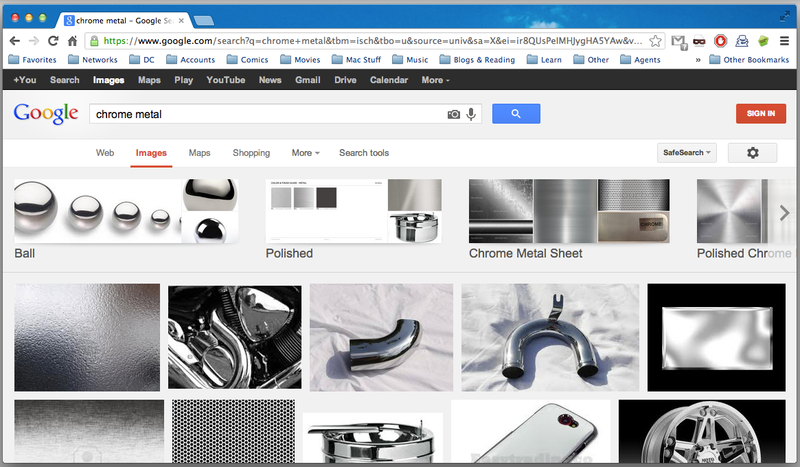 Finally, Chrome remains the most standards-compliant browser on the Mac. Its score of 463 points out of 500 (plus 13 bonus points) in a test of HTML5 support far outshone every other browser, and beat Chrome 21’s score by more than 30 points. Chrome 29 gives you dazzlingly fast, reliably stable performance. But for fresh ideas about navigating the Web, or clever features that make browsing more useful, look elsewhere. If you’re comfortable with that trade-off, Chrome 29 could satisfy your need for speed. The Google Chrome browser is faster than ever, but it's lacking in new ideas on using the Web.